When it comes to owning a home, one thing a home owner doesn’t want to detect is wood rot. If left undiscovered it can cause major damage to your home. At CH Construction, we recommend bi annual inspections of your home. Above all, inspect your home in the spring after the wet winter months and in the autumn after a hot humid summer. If you have mold it will appear grayish in color on the wood. At times you will be able to see the actual mold on the wood. If the wood is wet and dark or black you may be dealing with a wood rot and black mold. You will also need to determine if it is damage from pest or mold or both. Carpenter ants and termite damage are similar, there will be tracks and holes with wood shavings around it. If you suspect pest damage, call a professional pest control company for an evaluation. If you are unable or do not know what to look for, we would be happy to come out and inspect your home. I always recommend starting at the top. The attic can show you if you have a leaky roof without climbing on to the roof. You will be looking at the wood, make sure to check under insulation as well. In the bathrooms improperly vented exhaust fans can also cause condensation, check around the ceiling and floors for any loose and “soft” areas. Dryer vents that are not properly vented can cause the same damage. Speaking of moisture, under the sink will need to be checked. Both the kitchen and bathroom sink can occasionally have leaky faucets and pipes. Tighten and secure all fittings and look for wood damage in the cabinet and sub floor. As you walk through the house, inspect all the window sills. The outdoor and indoor climate differences, the window will sweat. 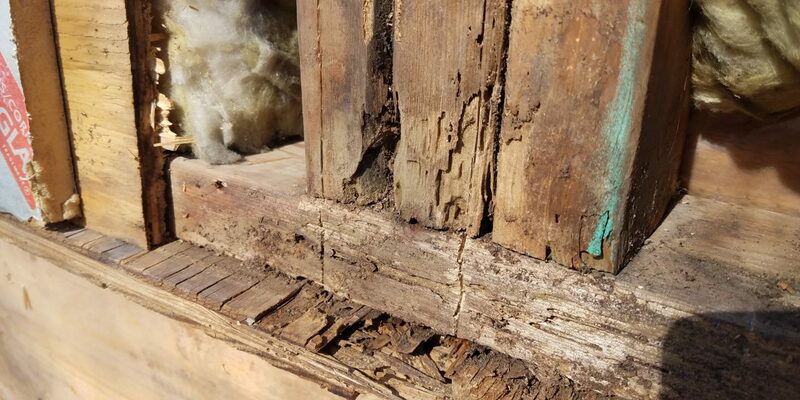 Consequently, these conditions are perfect conditions for wood rot to begin. Check the caulk on the windows to make sure it is not dry, cracked or missing. This is another sign the window condensation has affected the area. Consequently, doors and windows are going to show you the condition behind the siding. It’s the easiest access a homeowner has in discovering wood rot. Again, check the condition of the caulk in this area. In the basement you will want to look for potential foundation and water damage. Moreover, where the foundation comes in contact with wood is the best place to check for wood damage. Before heading outside, check the threshold of the exterior doors. 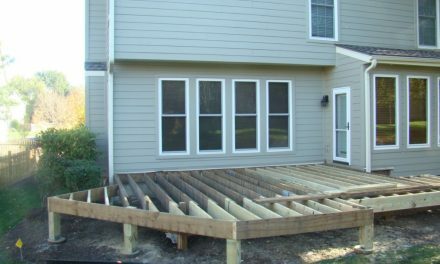 Steps, stoops and decks made of wood will need to be checked regularly for damage. These areas are exposed to the elements and moist soil. Using a screwdriver, probe around the post where it comes in contact with the ground. If the wood is soft, it is suspect to damage. Make sure to probe around the deck railings and deck boards checking for wood rot and loose boards. 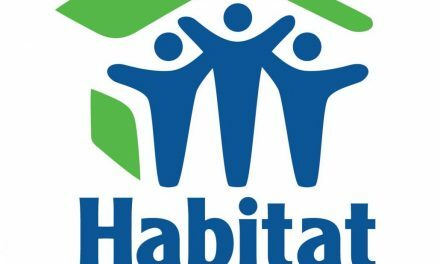 The homes siding near the bottom will show you what may be going on behind it. Check the eaves of your home as well. Roof flashing that has been improperly installed or damaged by storms can cause roof leaks. Clogged gutters make the conditions ripe for wood rot. It’s important to have them cleaned out regularly. Lastly, check your wooden fence; this includes the post and gates. If you do find damage to your home or property don’t panic. Many times early detection can save you a lot of money. If there is roof damage, you will need to assess if it was caused by storm damage. Your insurance will possibly pay for the repairs. If you are a handy person, you may be able to repair the damages yourself. However, if you are not able to do the repairs yourself; give us a call and we will be happy to come inspect the damages and help you repair them. In conclusion, bi-annual checks of your home can detect early stages of wood rot. Doing bi-annual maintenance will decrease the chances of property damage. I’ve created an annual spring check list and autumn check list for home maintenance. The lists will help you to prepare for the winter and spring weather. Most importantly, if you find damage to your home, repair it immediately. The more structural damage, the more costly it will become. Give Brandt, the owner, a call if he can assist you with inspection or repair.